Several authors have advocated the use of the gated data dependence graph as a compiler intermediate representation. If this representation is to gain acceptance, it is important to show that we may construct static analyses which operate directly on it. 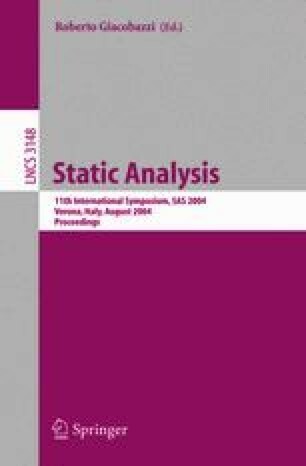 In this paper we present the first example of such an analysis, developed using the methodology of abstract interpretation. The analysis is shown to be sound with respect to a concrete semantics for the representation. Experimental results are presented which indicate that the analysis performs well in comparison to conventional techniques.